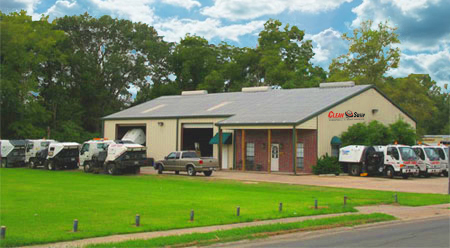 About – Clean Sweep, Inc.
Louisiana’s Official Certified Pavement Sweeping & Cleaning Services Provider! You’ll find this is a combination that can’t be surpassed when you want quality pavement-related services at a competitive price. We look forward to exceeding your expectations in all aspects of our work performance for you or your organization. Our professional track record assisted in Clean Sweep, Inc. being accepted into the 1-800-SWEEPER National Service Alliance. This affiliation provides us with resources, equipment buying power and educational materials that showcase the many important, though often unrecognized, value added aspects of power sweeping. Please take a moment to view the 1-800-SWEEPER video that describe in the best detail possible why Parking Lot Sweeping is so important. Clean Sweep, Inc. is a Founding Member of the Ethics in Power Sweeping Program created by the editorial staff of WorldSweeper.com, our industry’s largest information resource. We invite you to take a look at these requirements. Since sweeping doesn’t require any type of specific licensing, hiring companies often do not realize how to confirm the professionalism of their contractor of choice. provide their clients with the information shown below. Clean Sweep, Inc.
Review the PDF for more detailed information on the Ethics Requirements we uphold. Clean Sweep, Inc. complies with the highest standards in our national industry. We are the first — and only — contractor in Louisiana to gain professional ‘Certified Sweeping Contractor’ status through the North American Power Sweeping Association (NAPSA). NAPSA Certified Sweeper Company status is a big deal in our industry. It means our practices have been thoroughly examined and found to meet or exceed the absolute highest industry standards. We are honored to announce that Clean Sweep, Inc is a NAPSA Certified Sweeper Company. With the Certified Sweeper Company certification process, NAPSA has developed a formalized mechanism to recognize those sweeping firms operating in a professional manner and contributing positively to the overall image of the sweeping industry. This comprehensive certification process cannot even be applied for until a sweeping company has been in operation for a minimum of five years. Then, NAPSA looks at all aspects of a company’s operation prior determining whether or not it qualifies for Certification. To date, of the approximately 5,000 sweeping contractors in the U.S., fewer than 50 have gained the Certified Sweeping Contractor designation. Certification establishes a yard stick for customers to measure professional practices. Outlining these practices aids in the fight against businesses that operate below the radar of ethical, legal and professional standards. Certification has already provided the groundwork for recognition of certification as a condition of bidding or operating on some projects. It is quickly becoming an industry norm that project managers on large projects prefer NAPSA certified sweeper companies. Review the PDF for more detailed information on the Certification we hold. We also invite you to see our “Why Sweep” handout with many more reasons why a structured level of service, by Clean Sweep, Inc., is one of the best investments you can make in your property and to retain the value of your business. Clean Sweep, Inc. is a ‘one call does it all’ company for all your exterior maintenance needs. If you would like a current reference list for parking area sweeping or any of the projects we handle, give us a call or use our contact form to request one.